Posted by Admin | December 1, 2018 | Action, Adventure, Strategy. 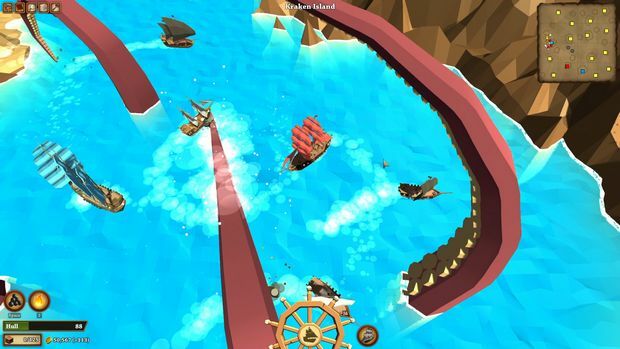 Pirates of the Polygon Sea Free Download PC Game Cracked in Direct Link and Torrent. 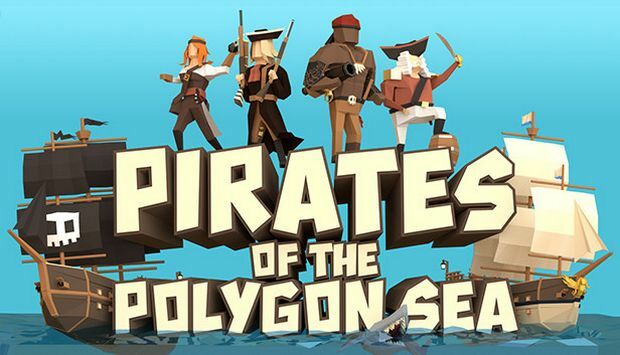 Pirates of the Polygon Sea – Delve into a world of pirates, mythical creatures, and high seas adventure! Slay dangerous beasts, discover lost treasures, navigate perilous storms,…. 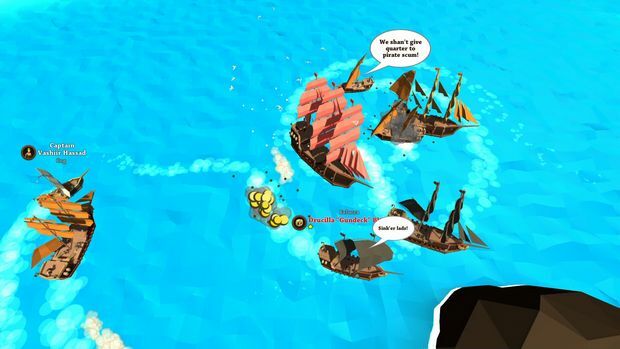 Engage in action-packed naval combat against enemy ships; fire broadside cannons, throw burning oil, and outmaneuver vessels in your quest to dominate the high seas. Upgrade your ship from a feeble Sloop to a mighty Man’O’War, and put on your pirate sails to raid wealthy merchants. Build your humble coastal town into a bustling sea port, constructing docks, marketplaces, shipwrights, fishmongers, guard towers, and more. Hire escorts and amass a powerful fleet and raid nearby towns and outposts. Experience a dynamic, procedurally generated world; AI opponents, world layout, events, and objectives are randomized, creating a unique experience each time you play. From mysterious shipwrecks, deadly pirates, and lost treasure to enchanting mermaids, giant whales, and even the legendary Kraken – you never know what you’ll discover when you set sail!